Do Risk Factors for Post-partum Smoking Relapse Vary According to Marital Status? 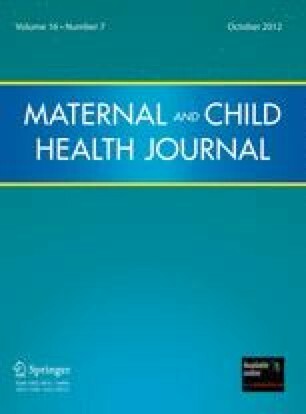 We aimed to examine associations between factors readily obtainable in health care settings and post-partum smoking relapse in women of differing marital status. We analysed data on 1,829 mothers in the Millennium Cohort Study who reported quitting smoking during their pregnancy using multivariate logistic regression. We analysed single, married and cohabiting women separately. Fifty-seven percent of mothers who quit during pregnancy had relapsed at 9 months. The risk of relapse was highest for single women, followed by cohabiting, then married women. Higher parity and not managing financially were associated with relapse for single women. For married women the greatest risk of relapse was associated with having a partner who also relapsed. Women whose husbands continued to smoke had an increased risk of relapse but those whose husbands had sustained a quit were protected. Other significant risk factors were not breastfeeding, having other children and drinking at moderate frequencies. A similar pattern was seen for cohabiting women, except that having a partner who quit but then relapsed did not appear to confer an additional risk. Drinking at moderate intervals (only) was associated with relapse but breastfeeding and parity were not. The association between married couple relapse was not evident when only the husband’s smoking status during the pregnancy was considered, indicating that partner follow-up is important post-partum. Risk factors for relapse appear to differ according to marital status. A ‘one size fits all’ package of post-partum relapse prevention is unlikely to be an appropriate intervention strategy. The authors are funded by an NIHR CLAHRC implementation grant. KEP is supported by an NIHR Career Scientist Award, and KB by an NIHR Career Development Fellowship. This paper presents independent research commissioned by the National Institute for Health Research (NIHR) under the CLAHRC programme. The views expressed are those of the author(s) and not necessarily those of the NHS, the NIHR or the Department of Health. The authors would like to thank the health visitors and midwives in the CLAHRC clinical networks for raising the idea, Lesley Fairley for commenting on the initial statistical analysis and the peer reviewers who helped us improve this manuscript.